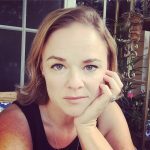 I love thrift stores, and as I read through many of my favorite blogs, I see that I am not alone. After seeing some of the treasures that other’s have found, I find myself wishing that I lived closer to this or that place/blogger so I too could find something just as fabulous. As for me, my favorite place is Faith Farm. On the back end, it’s a facility that offers a free 9 month drug and alcohol addiction recovery program that has helped 37,000 people to recover from their addictions. The programs they offer are fully funded by donations, and their awesome thrift stores. I had gone for the first time a few years back, but didn’t fully appreciate it’s awesomeness until I went with my friend, Cricket. She’s got the gift of re-imagination and it’s rubbed off on me! Since it runs completely off donations of furniture, clothing, home goods, etc, I like knowing that my purchases help people get their lives back together. I love, love, love this place and all it does for the community. 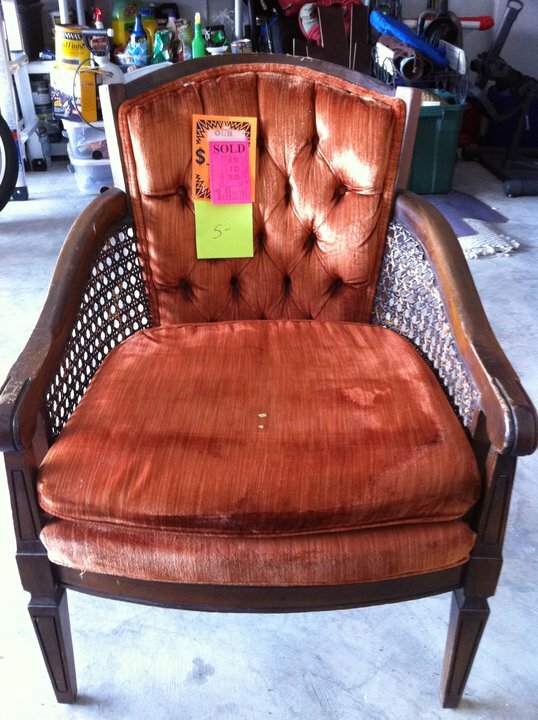 I loved this chair from the beginning – she was beautiful without being too fussy. Okay, enough about FF… A few months back, I went and found this beauty. Beyond ugly, right? It was $5, and in great shape structurally. I had never re-upulstered anything before, but I figured that for 5 bucks, I could experiment with this chair and see if I liked it. Lets just say that the act of re-upulstering was not a pretty site. After I pulled nine million staples out, and peeled back the fabric, there was no looking back. I wish I had taken more pictures, but unfortunately, I was so caught up in the process, that I didn’t stop for anything (including dinner, which my kids weren’t happy about!). After – my first attempt at reupholstering a chair. So, what do you think of her now?? I know, I need to learn how to sew more than an a envelope type of cushion cover, but for now, it works. I really wish I could find a local upholstery shop that carries more than the limited supplies that JoAnn’s carries for re-upholstering. I saw some great tack strips that I can’t find anywhere, and it would be great to have someone to ask questions. Want to see other chairs I’ve updated? 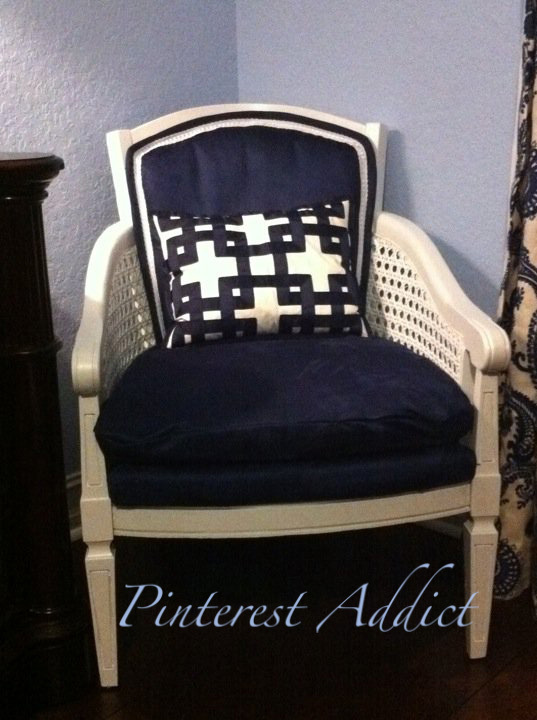 My most popular post ever was this chair – updated with fabric spray paint! This zebra chair was adorable! I loved how these barrel chairs turned out! great job on this!! so much better! Thanks 🙂 I still want you to come paint a room for me sometime. I am in love with your stuff!